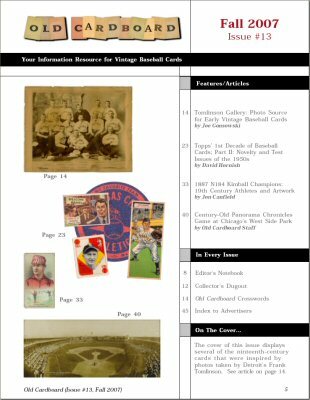 The cover and the table of contents for Issue #13 are shown below. 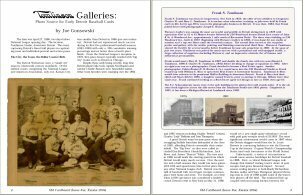 1) "Tomlinson Galleries: Photo Source for Early Detroit Baseball Cards" by Joe Gonsowski. 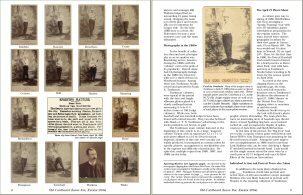 For a relatively brief period in the late 1880s, Frank Tomlinson operated a leading photographic studio in downtown Detroit. 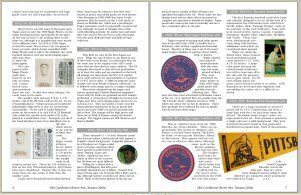 Based on years of research and some fascinating recent discoveries, author Gonsowski documents previously unknown details about Tomlinson, his studio and the vintage baseball cards that he inspired. 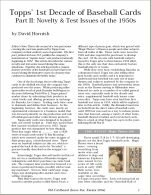 2) "Topps’ 1st Decade of Baseball Cards--Part II: Novelty and Test Issues of the 1950s" by David Hornish. 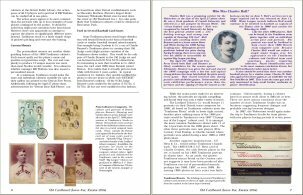 A survey of the first of a long running series of "regular issue" baseball card sets from the Topps dynasty. 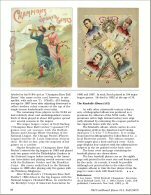 Key features of Topps' first eight mainstream sets, beginning with its landmark issue of 1952, are all discussed and illustrated with front and back examples for each year. 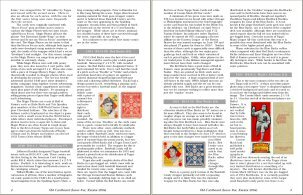 A table compares these eight sets for quick reference. 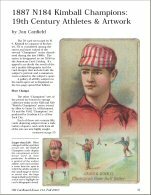 3) "1887 N184 Kimball Champions: 19th Century Athletes & Artwork" by Jon Canfield. 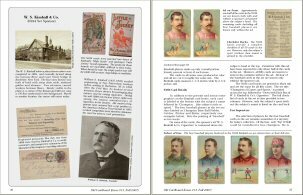 Overview of the entire N184 multisport set produced by W. S. Kimball of Rochester, NY, by an author that grew up there. 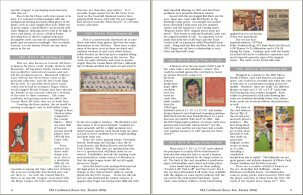 Highlights include a set overview, a gallery of all 50 cards, career information about the four baseball "champions" in the set, background about the sponsor and its founder, and the companion (A42) album. 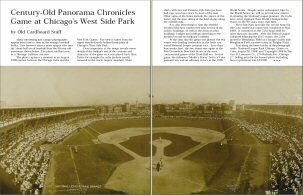 4) "Century-Old Panorama Chronicles Game at Chicago's West Side Park" by Old Cardboard Staff. 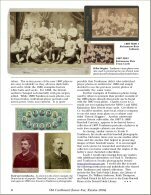 A brief description of a panoramic photo that provides a unique view into the dead-ball era of baseball. 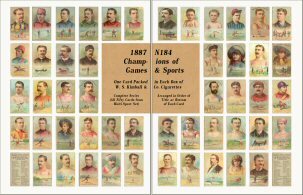 Auctioned last year by Heritage Galleries of Dallas, Texas, the photo records a game played August 30, 1908 between the Chicago Cubs and the New York Giants. 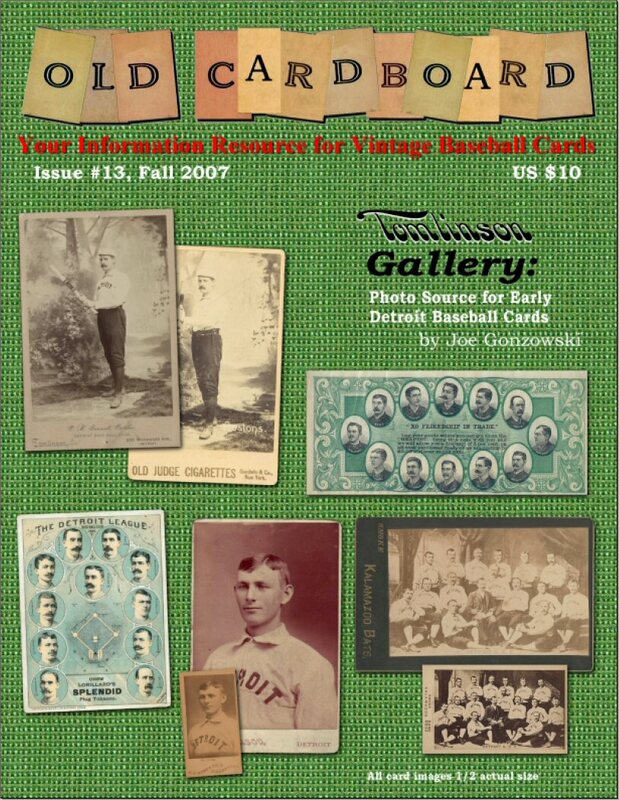 Narrative includes background about the pennant race that year.